NO21NE 1 2852 1805 and 2849 1806. 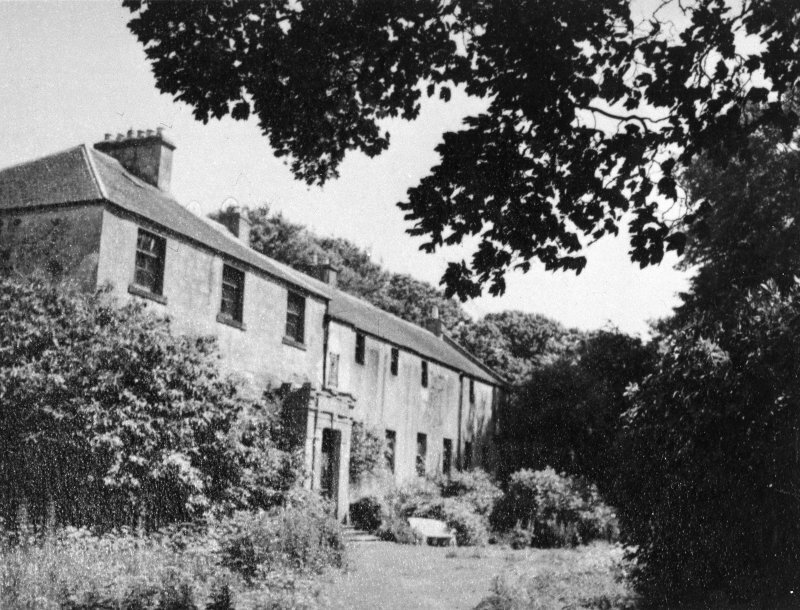 Dunbog House is first mentioned in a charter of 1580, and some parts of the existing house may be of this date. Traditionally, it was built by Cardinal Beaton, but it was a kinsman who held the estate. 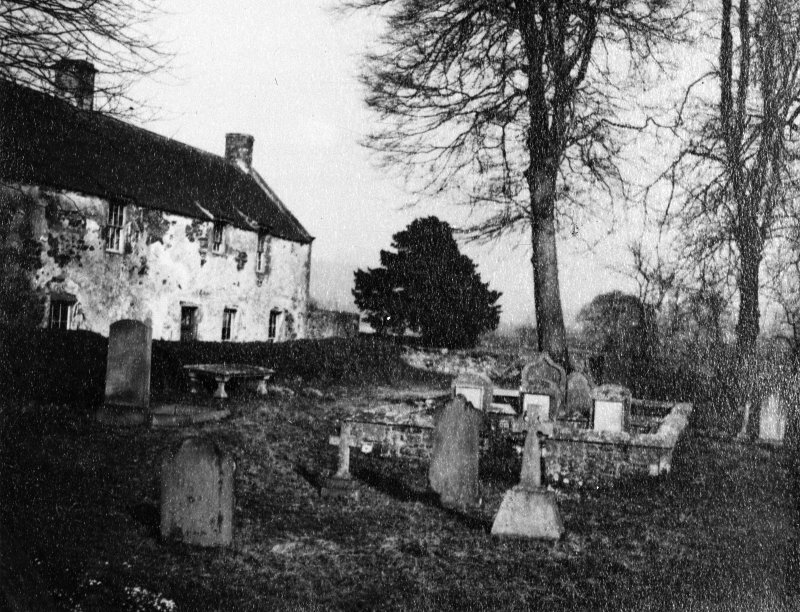 It is believed to stand on the site of the Preceptory of Gadvan, a cell of Balmerino Abbey, which was in existence in 1486 and occurs again in 1529-30, and in 1603, when its chapel (NO21NE 15), manse and meadow are also mentioned. 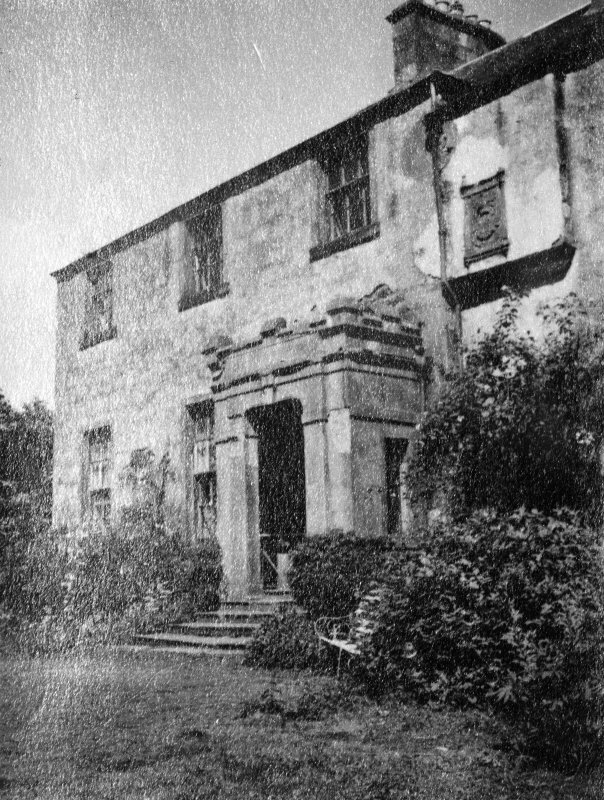 It was secularised by 1578, when James Beaton of Creich held 'the Gadvan and manor place thereof'. Name Book 1854; A H Millar 1895; J Campbell 1899; RCAHMS 1933; D E Easson 1957. 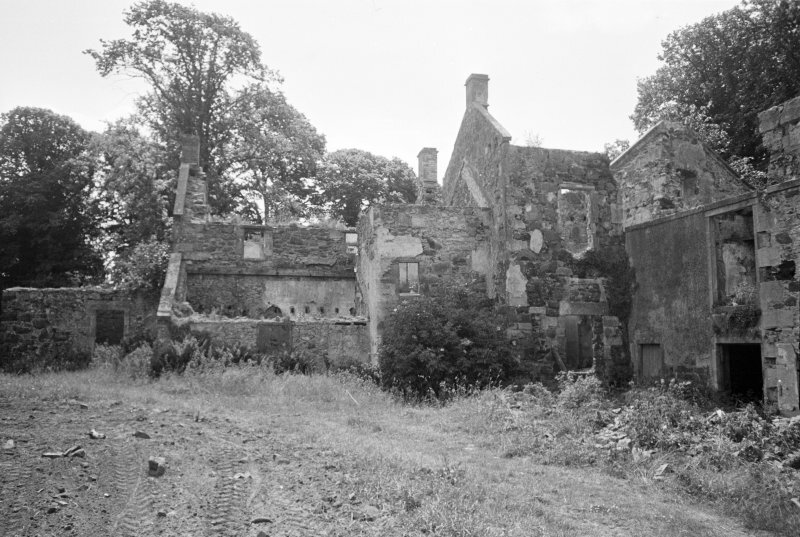 Dunbog House is now in ruins, and an examination of the structure showed it to be almost entirely modern in construction. The only interesting portion is a slight rectilinear and corbelled projection on the upper portion of the SW angle. The weathered armorial panels are on the W wall. Of the whole mansion, the southernmost portion appears to be the oldest, but it has been so greatly altered that its period could not be ascertained. The corbelled projection may represent a remnant of a 16th century building. Visited by OS (J L D) 26 October 1956. 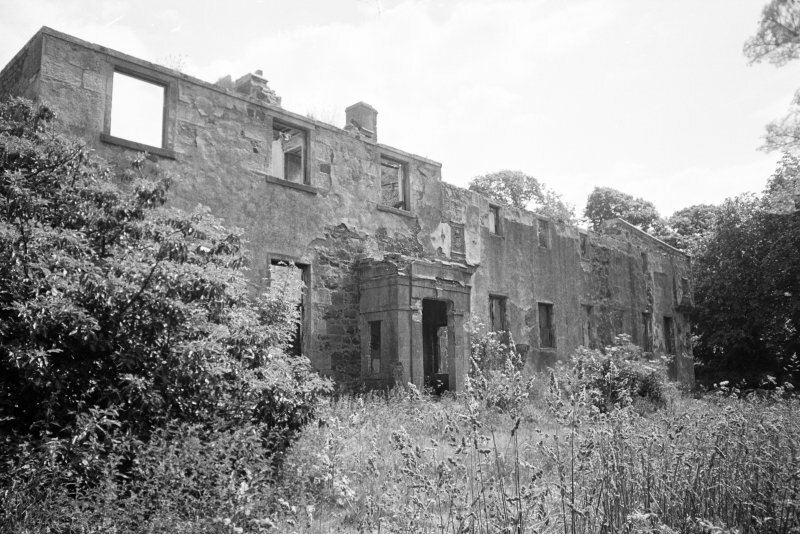 Dunbog House has now been demolished except for the south gable of the central block, with the corbelled projection and an armorial panel at its SW angle, and an adjoining gable of a modern block. Dunbog House has been gutted and demolished. Information from Demolitions catalogue held in RCAHMS library. Photographic survey by the Scottish National Buildings Record in June 1957.